The “Garden of Stars” is a life-size maze for all ages. 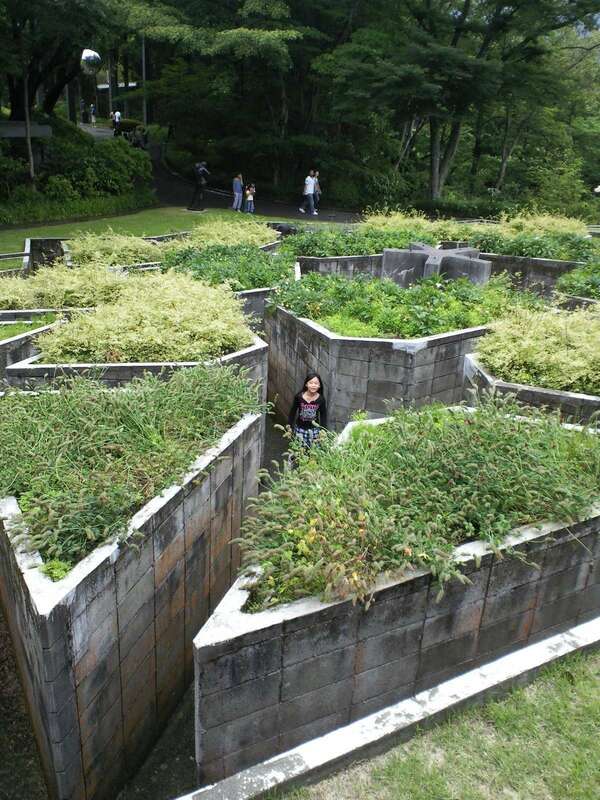 You can watch from the top or go down into the maze and try it for yourself. 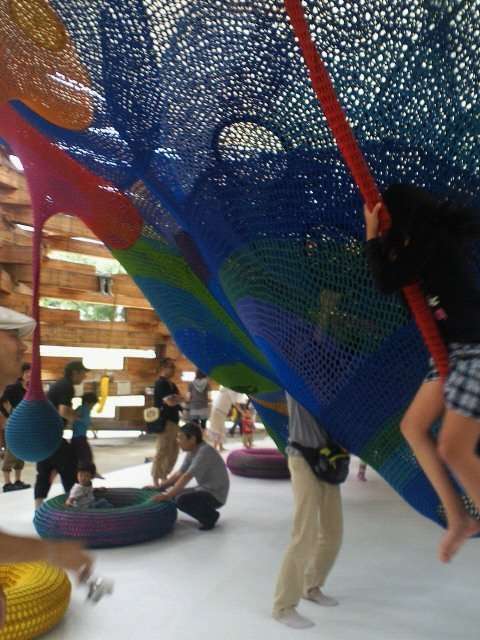 The “Woods of Nets” is a fun space for kids of all ages. 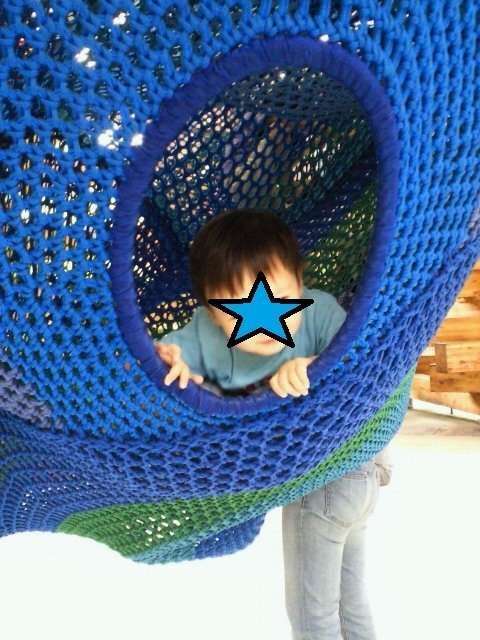 The floor beneath the swings and the climbing maze of the nets is padded. 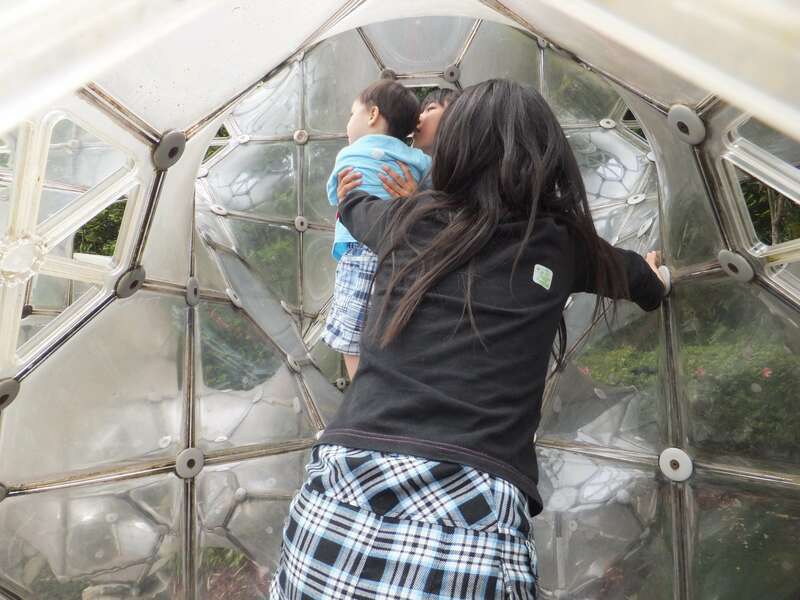 There are low down entrances into the climbing maze, that even toddlers can climb into. The “Curved Space – Diamond Structure” is another type of climbing space. Smaller children would need to be accompanied by older children or adults. The “Symphonic Sculpture” is a tower in the centre of the museum. There are great views of the surrounding landscape from the top of the tower. They loan out baby strollers and wheelchairs for free, subject to availability of course. They also have free lockers, for storing small items of luggage, available. There is a foot spa located beside the Gallery Cafe and Shop. There are two restaurants as well as two cafes. We ate in the “Bella Foresta” restaurant, which is an all-you-can-eat buffet style restaurant. There wasn’t a huge selection, but it was big enough to have something for everyone. There are at least six male and female bathrooms throughout the museum and three multi user toilets which have baby changing facilities. Great post! 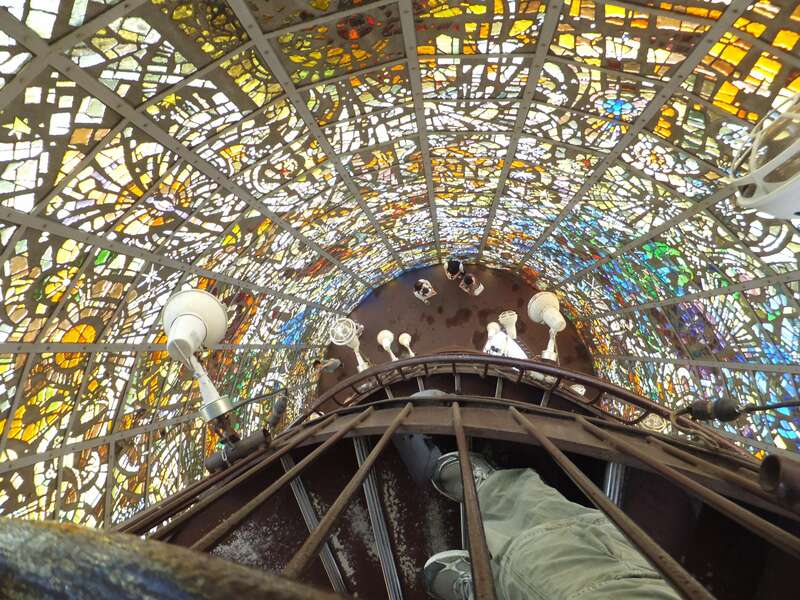 My MIL lives up in Hakone and I am dying to visit the open air museum! What a great place to have family in Japan!! Lots to do in Hakone and it’s usually cooler than most of Kanto during the summer! !